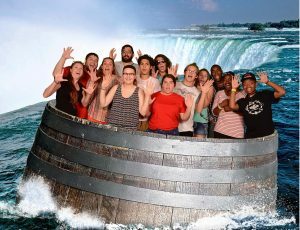 The Leaders in Training (LIT) recently went to Niagara Falls for their year-end field trip. They also as went on the “Maid of the Mist” boat tour and had dinner at the Skylon Tower that sits 775′ in the air and overlooks the falls. What an adventure! Visit http://www.uncnepa.org/youth-programs or contact Nathan Masco, LIT Coordinator at (570) 961-1592.